He was reported to pass away on 5 April 2018. Here's my tribute to one of the greatest anime director and film maker. 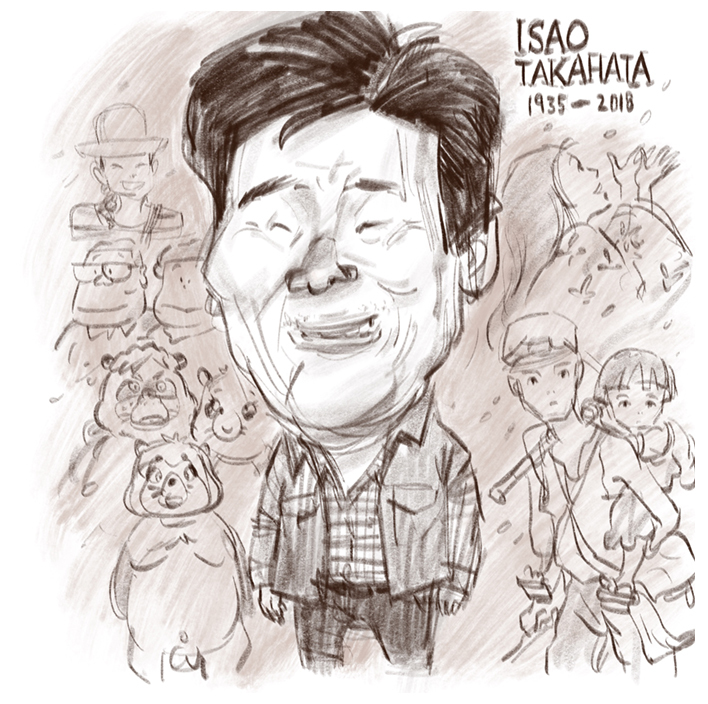 His film credits include classic anime features as "Grave of the Fireflies" that brought reality, and the reality of war to the big screen, and brought tears to many, including myself, who did not have the courage to watch it again; "Oscar winning nominated film, "The Tale of the Princess Kaguya". My all time favourite was "Pom Poko" that speaks on changing environment and urban development that has changed the ways of life for many Japanese living in the rural regions of the country, "My Neighbors the Yamadas", "Only Yesterday" and "Winter Days". I have just placed orders on Amazon for some of these animated movies restructured in HD and Blueray and is looking forward to binge watch during the school holiday. Takahata had reportedly been in declining health since last year, though no cause of death has been announced. Born Oct. 29, 1935, in Ise, Mie, Japan, Takahata started in the animation business in the late 1950s after graduating from the University of Tokyo with a degree in French literature. He landed a job at Toei Animation and worked his way up to directing various television series, shorts and features. While at Toei, he met and worked with Miyazaki on several projects, most notably as producer of the feature Nausicaa of the Valley of the Wind, released in 1984. Miyazaki wrote and directed the film, based on his manga story, and the success of the film led to Takahata, Miyazaki and producer Toshio Suzuki founding Studio Ghibli. The Tale of the Princess Kaguya, the final film he directed, earned Takahata a nomination for best animated feature at the 2015 Academy Awards. His most recent credit is as artistic director on The Red Turtle, directed by Michael Dudok de Wit and animated by Studio Ghibli. It's good to see him up close in the process of making his animation, though not in person.